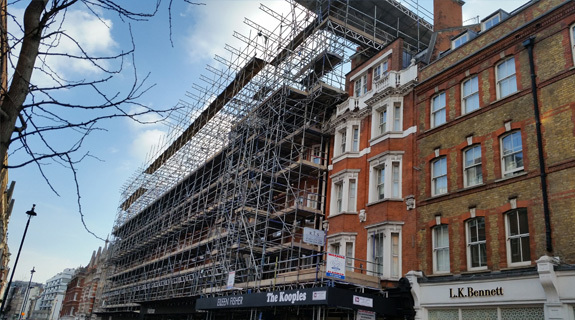 Whistlers > Property Maintenance > Property Maintenance – Marylebone High St. The property maintenance and redecoration of the exterior of this extensive property was undertaken in conjunction with the creation of 2 luxury penthouse apartments. 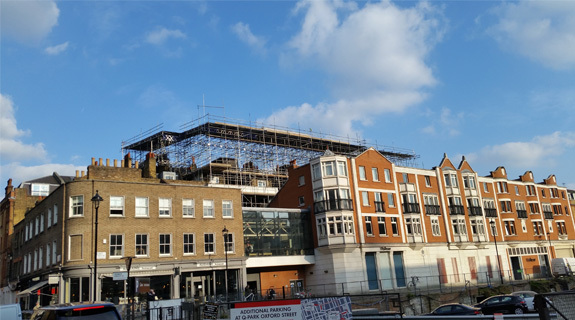 Due to the extent of the works and scaffold, meetings were held with the retailers and permission obtained to commission signage using their corporate logos to make their premises easily identifiable to customers and reduce the impact of the works on their businesses.